This soup was very good, and I liked the bit of spice in there. I also like the simple, yet elegant presentation. I just wish the server had sloshed it around on its way to the table. 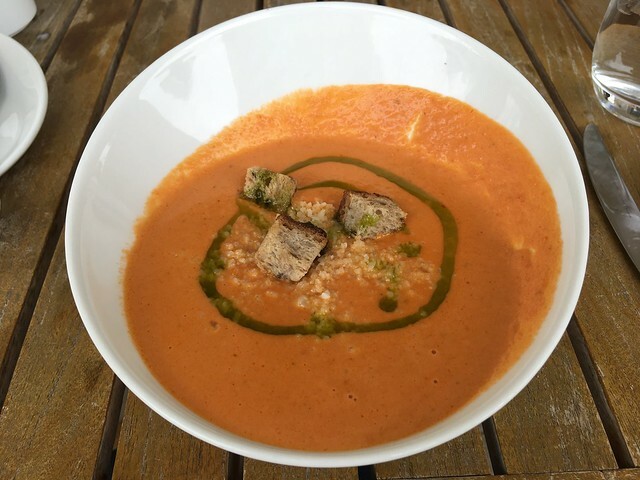 This entry was posted in The Restaurant at JUSTIN and tagged bisque, food, soup, tomato, tomatosoup by vicentesf. Bookmark the permalink.